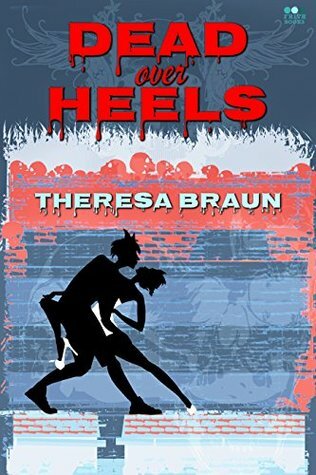 I really enjoyed Dead over Heels. I admit I'm not a big fan of romance novels but this one had the perfect blend of romance, comedy and horror. In this tale we're introduced to Veronica who is trying to find her soulmate. It's not been an easy journey and soon she turns to magic for a helping hand. After spending painful hours trawling through dating sites she finds Sebastian, even before meeting she thinks there is a genuine connection that goes beyond hooking up with each other. Veronica has battled with loneliness since her mother walked out and her father died. She's never had a happy childhood and longs for her own fairy tale ending. Sebastian arrives into her life and unlike all the others before he seems really genuine. But their connection goes deeper than Veronica could ever have imagined. Can their blossoming love affair survive the journey on which they must embark? Will they both make it through? What's also great about this tale is that it's relatively short so you can easily read it in one go, and you'll want to as its really gripping and fast paced. "Theresa Braun was born in St.Paul, Minnesota and has carried some of that hardiness with her to South Florida where she currently resides with her two fur babies, who are her creative sidekicks. She enjoys delving into creative writing, painting, photography and even bouts of ghost hunting. Perhaps growing up in a haunted house in Winona, Minnesota is to blame. It it's haunted, it's on her "to visit" list. Travelling is one of her passions-in fact, her latest adventure took her to Romania for a horror writers' workshop where she followed in the steps of Vlad the Impaler. She writes horror fiction and the occasional romance - they definitely have things in common, right? She also likes to guest blog about writing, television shows, movies and books, mostly in the horror genre. Her short story "Shout at the Devil" appears in Under the Bed Magazine and "While My Guitar Gently Weeps" in Hindered Souls.